What’s good on Pinterest may actually be difficult in execution. DIY projects actually always take longer than the instructions say and half the time they don’t really turn out the way you had hoped. We’re not saying you shouldn’t DIY some items to make your wedding feel more personal, but you should consider the time, money and energy things will actually take. Most of the people at your wedding know how difficult it is to plan a wedding, so there’s no shame in basic flower arrangements and simple linens. Remember, your wedding is about representing you and your partner to the best of your abilities; do things that represent YOU, not Pinterest! Remember, your guests want to eat and drink and dance the night away, in celebration of you! Getting a good deal doesn’t mean you’re choosing the lesser option. If your aunt owns a catering company and is willing to give you a family discount, why not use this to your advantage? Don’t give up on Pinterest! It is a great spot for idea generation but remember to use good judgement and keep your real life budget in mind. 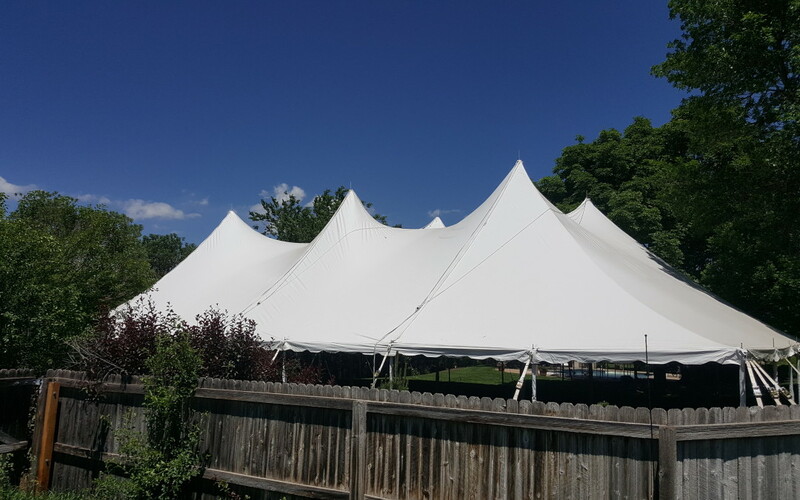 No matter what decisions you make, Benson Tent Rent is here to help you make your dream wedding become a reality!